For most people when they think of the Yukon, the first thing that pops into one’s mind is the Klondike Gold Rush. The “big” event that sent thousands up north to seek their fame and fortune and put the “Yukon” on the map. But gold was not the first nugget of commerce to bring Europeans to the north. Fur traders working for the Hudson Bay Company arrived in the 1840’s and set up 3 trading posts, thirty years prior to the arrival of the first gold miners. 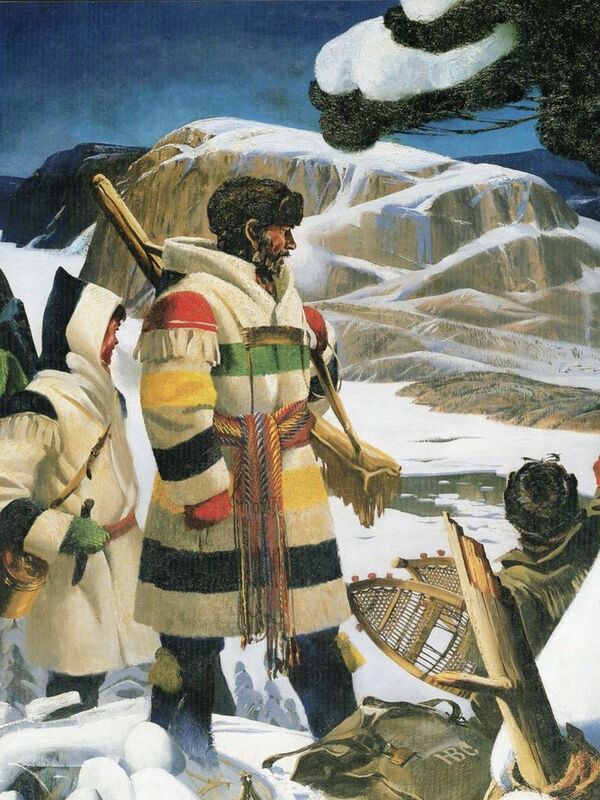 The Hudson's Bay Colours: HBC Point Blanket was traded with for fur pelts. Although the H.B.C. had set up trading posts in numerous other locations in Canada; the remoteness and distance to travel from its’ head quarters in Montreal and on Hudson’s Bay is attributed to the delay of setting up trade in the Yukon. HBC Headquarters and trading routes: distance to Yukon. Alaska at that time was controlled by Russia until it was sold in 1867 to the America. The luxury pelts that they sought were sea-otters found along the coast, and hence had no interest in trading into the interior of Alaska or the Yukon. The Chilkat First Nations traders; who lived in the area where Skagway is located, were the ones who first brought trade goods over the mountain passes from the coast into the Yukon. Goods that they had traded with the Russians, and fiercely guarded their trade routes from any intruders. 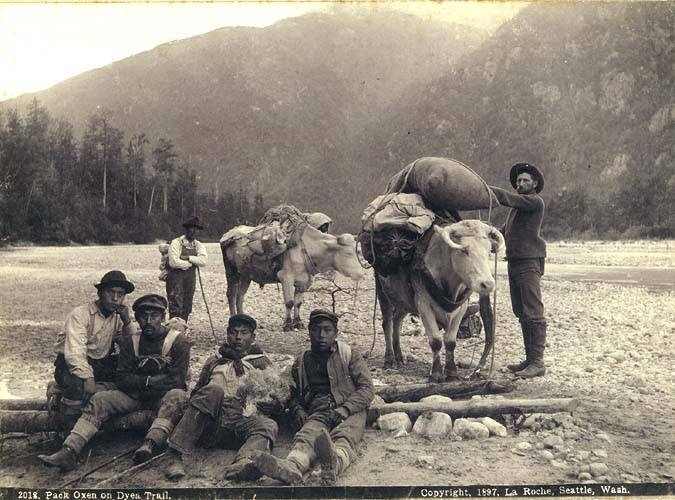 Chilkoot Trail: Yukon First Nations were not allowed by the Chilkats on the trading route till the gold rush days when the Chilkats could not provide enough packers. Relationships between the HBC traders and Yukon First Nations in the mid-19th century were usually good. They would tell the traders what goods they wanted and the traders did their best to supply the required items. If they were not satisfied, the threat to trade with the Russians was always there or….at one point, unhappy with the trade, they burned Fort Selkirk to the ground. Hope you enjoyed this little bit of Yukon History!